Home > otomotif > Circulating Prime Fiat car pickup , Use Basis Mitsubishi Triton ? Circulating Prime Fiat car pickup , Use Basis Mitsubishi Triton ? Hay Bro Sis...Increasing the size of a large car enthusiasts from period to period, especially on the segment of the pickup (pick up) make various manufacturers flocked to immediately plunge into the car market quickly develop and create the kind of car. After Renault were found to have been ready to deploy double-cabin pickup truck into the market to compete with other competitors to jump. Now finally the Italian car manufacturer, Fiat was tempted to jump in the pickup truck market. Even readiness they have proven with their photographs made by Fiat pickup truck teaser that was released in cyberspace. From the information available pickup truck made by Fiat was named by Toro. It is known that the Fiat car that has a truck-type body-on-frame or could be called the pickup is their first car in this species. Quoted from page Leftlanenews, Fiat itself does not develop a pickup truck they were named by the Toro. However, it is rumored that Fiat in collaboration with one of the leading car manufacturers from Japan, Mitsubishi pickup truck using their flagship base the Mitsubishi Triton. Of the outstanding appearance, Toro does have a design that is so gahar and tough like other pickup truck. 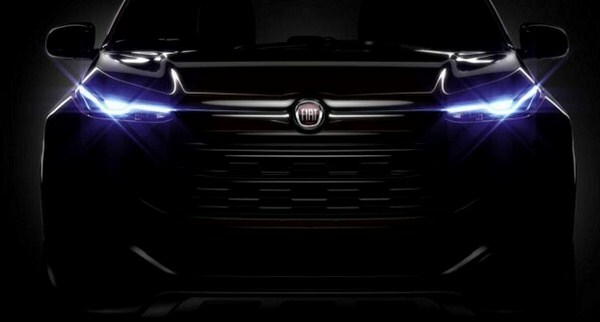 At the front it looks quite high, has headlights that modern facelift dressed aggressive and has a wide grille with hexagonal shape which is topped with Fiat logo. With the appearance makes the first pickup truck Fiat is likely to reap success when launched into the global market pickup truck. Unfortunately there has been no official information about the technical specifications of the engine in the Fiat Toro. But if you look at the data specification of the basis for the development of this pickup truck, the Mitsubishi Triton has a strong enough performance for various conditions. For Mitsubishi Triton itself is available in several engine options, ranging from 4-cylinder diesel engine-powered 128 horsepower to the gasoline engine-powered 128 horsepower that is not less powerful. Unfortunately, it was reported that Fiat will not sell Toro car is in widespread which means that only certain countries are going to be the marketing area of ​​the car.